Ship Report podcasts take you to a special corner of the world: the Mighty Columbia River in the Pacific Northwest. Nautical lore, news and info, mariner interviews, daily international ship traffic, and the inside scoop on our formidable marine weather. 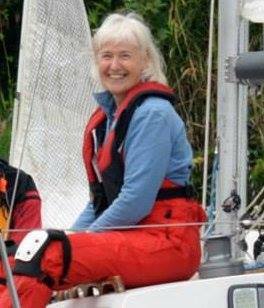 Join maritime journalist Joanne Rideout on the Ship Report, as we explore the fascinating nautical world, on the Upper Left Edge of Oregon and beyond. The Ship Report is proud to celebrate 16 years on the air! It's an ongoing debate and race between ship builders: who has the biggest ship? We'll talk about the most humongous ones, past and present, and why really, really big is sometimes just too much and not a good idea. In the work environment on board ship, where people from different countries are working together, often sharing vital formation over staticy radio transmissions, the jargon "Seaspeak" was developed to help mariners understand one another despite their differences. 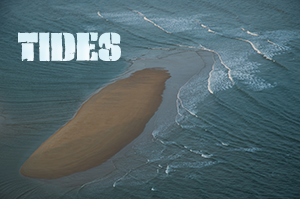 Coast Community Radio: Graham Nystrom interviews Jonathan White about his new book, Tides. Check out the Ship Report on Oregon Public Broadcasting’s Oregon Field Guide! Astoria’s New Year’s Eve Ship Horns! BOATLIFT, a film about how mariners came to the rescue in 9/11 NYC. MLLW: Also, tides are referenced to Mean Lower Low Water, a reference point for depth on many nautical charts. MLLW is the average of the lower of the two low tides in a day, over a 19-year cycle. Minus tides are lower than MLLW. Adjustments: If you’re right on the coast, subtract an hour from these times. Upriver, highs and lows happen later. For instance, in Knappa, add an hour. In Clatskanie, add 2 hours and 15 minutes. Ship Report Minutes: On Fridays, where we answer listener questions. Short and sweet! Pacific NW Coast Bar Closure Info from NOAA. Also on Facebook and Twitter(US Coast Guard). 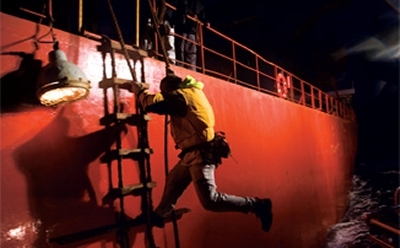 “Pilot transfer” is when a pilot disembarks or boards a ship. Ships generally must by law have a river or bar pilot on board when they are on the Columbia or Willamette Rivers. The bar and river pilots have separate pilotage grounds defined by the Oregon Legislature. Producer Joanne Rideout is a journalist and photographer who created The Ship Report in 2003. Since then Joanne and has been interviewing, writing and photographing the maritime world and its interesting people as much as she possibly can. One prolonged blast every two minutes or less: vessel operating in fog. Five consecutive horn blasts: warning signal that means literally “I do not know your intention.” This generally means another vessel is in the way of a ship in the channel, and is being asked to move before they collide. One long blast followed by three short: signal for the change of pilots. Soon after this signal, you’ll see the pilot launch Arrow II head out to a passing ship, to facilitate the transfer of bar and river pilots.